Can science-fiction be ‘literary’? Many in the literary fiction community would say ‘no’. 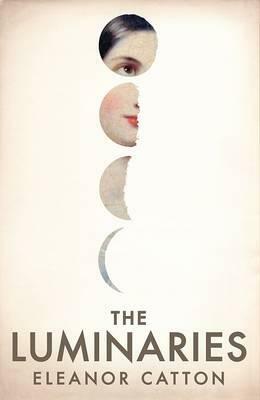 These folk look down very long noses toward the genre of science fiction, so much so that whenever sci-fi novels do make onto, say, the Booker shortlist – Oryx and Crake by Margaret Atwood, Never Let Me Go by Kazuo Ishiguro for instance – they are invariably reclassified as literary fiction. The 2011 Booker Prize judges’ panel chair, Dame Stella Rimington, caused a stir when she said that the quality she was looking for when selecting the longlist was that the novels should be ‘readable’. (At this year’s Sydney Writers’ Festival she admitted she regretted the choice of word, saying she should have used the word ‘accessible’, though me thinks this new word is six-of-one territory frankly.) Jeanette Winterson’s response to Rimington’s remarks in The Guardian left little room for doubt about her views. 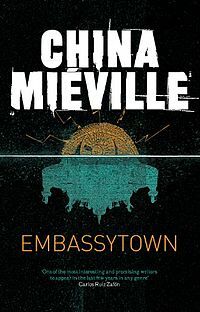 She has a simple test for literature: “Does this writer’s capacity for language expand my capacity to think and to feel?” If we apply Winterson’s test, where does the protean China Miéville fit given his pure sci-fi novel Embassytown? The protagonist of Embassytown is Avice Benner Cho. She lives on Arieka, an alien world whose native species are the enigmatic Ariekei, known ‘Hosts’. The town she lives in is known as Embassytown. Arieka is so far distant from anywhere else it is on the edge of the universe. To get there, transport ships known as ‘miabs’ travel through ‘immer’, a kind of sub-space medium which makes most people sick. But not ‘immersers’ like Avice. The ships arrive sparingly. For most of the time the society is cut-off, alone. The Hosts are strange creatures who communicate using ‘Language’, speaking to each other using two-voices spoken at the same time. They cannot hear humans. They can only hear Language. They also cannot lie. But they do try. They run a ‘Festival of Lies’ in which a few of the more adventurous step forth and attempt to say something untrue. Over time, some get quite good at it. One of them eventually succeeds. The crowd is giddy with deceit. There is a sadness about this lie just as there is excitement. Can the lie lead to anything good, or is it just the first step toward a oblivion we sense coming? The Hosts occasionally ask humans to perform odd tasks so that they can be used as similes. Avice was asked to do something as a girl and has been known as a renowned simile amongst the Hosts ever since. So how do humans communicate with the Hosts? They do so through a small band of unique, specially-bred human pairs known as Ambassadors, who are so in-tune with each other they can speak at the same time. But when a new pair of Ambassadors arrive who are very different from all the others, something goes horribly wrong when they first speak to the Hosts. The world is thrown upside down. Avice needs to find a way to communicate with the Arekei to stop certain oblivion. So far, so sci-fi. But is this any different to, let’s say, Kate Grenville’s lovely novel The Lieutenant (see my review), in which an indigenous people have to deal with newcomers who threaten everything? Are the divides of communication that exist any different? No, they’re not. 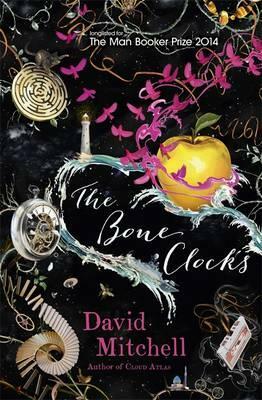 One of the joys of the novel is Miéville’s world-building. There are so many made-up things – and the words used to name them – that it’s sometimes hard to grasp what he’s talking about. Many are obvious in context. Others take time to decode. Some remain, even now, indefinable. 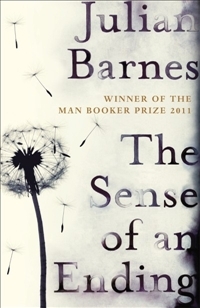 He challenges the reader to immerse themselves in his world just as Avice immerses when she travels away from it. There is bio-rigging and alt-animals and floaking and so many others mysterious things. Embassytown is about language, about communication. Language is the bridge that spans an impossible divide. There are large themes being played out here. Can the truth, for instance, be best said with lies? If so, what does that mean? 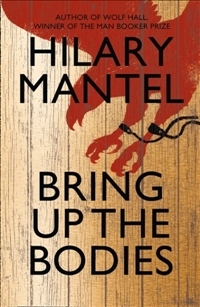 Okay, so there are the usual thriller tropes. But there is also emotion, also dedep thought. The answer to my question is of course sci-fi can be literary. There are many examples in addition to the ones mentioned above. You can add Embassytown to the list. I dare say even Winterson would approve.